Home » Events & Announcements » Choice Group 2nd Annual Fundraiser Gala! Choice Group 2nd Annual Fundraiser Gala! Foundation grantee, Choice Group Inc., is holding their 2nd Annual Fundraiser Gala on October 24th in Santa Monica, CA. Performances by Mary Mary and Akelee make it sure to be a fabulous evening! 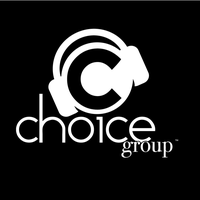 Choice Group Incorporated is a nonprofit organization whose mission is to provide at-risk and foster youth with a safe and nurturing environment that promotes music and related arts programs as recreational, educational and life-enhancing opportunities. Click here for information on purchasing Gala tickets and how to support Choice Group!